Sound engineer Nick Tyzio stands outside the cherished music venue he is trying to save. Vancouver’s music community is not going to let one of the city’s oldest live venues close without a fight. 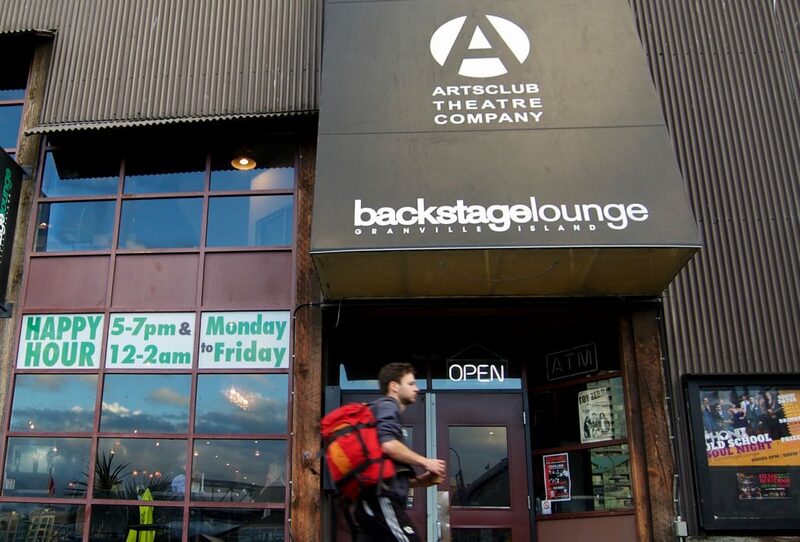 Musicians, employees and long-time supporters have started a campaign to keep live music at the Backstage Lounge, a venue that the Arts Club said it was going to close at the end of the year. “We’ve lost so many venues in this town the last 10 years. Bands can basically control the whole night [at Backstage Lounge] and there’s nowhere in town that I think you can do that,” Nick Tyzio said. Tyzio, a local sound engineer, said he could not sit back and do nothing. He decided to start an email campaign to show the Arts Club how much people value the venue. The Keep Backstage Live campaign encourages people to send emails to the Arts Club’s board of directors. A scripted email mentions the lack of Vancouver live–music venues and urges the board to remember its mandate to support local artists. Staff were told in August that the venue would close for renovations. Sarah Barton-Bridges, a publicist for Arts Club, said that the club is “exploring different models” for the venue. The news was another blow for Vancouver’s music community. Vancouver venues including the Electric Owl, Richards on Richards, and the 85-year-old Railway Club have closed in recent years. Tyzio has received 40 emails of support so far. 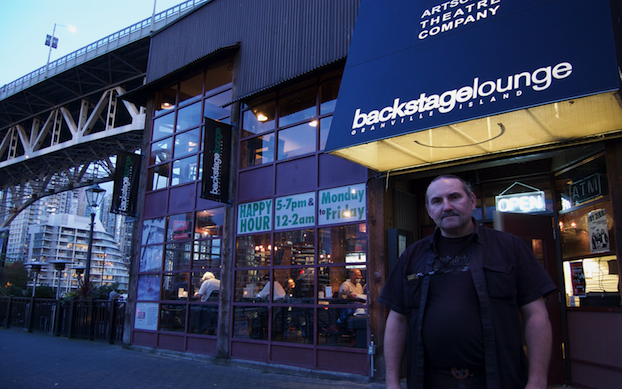 He remains hopeful about Backstage Lounge’s future since public outcry caused the Donnelly Group, which bought the Railway Club in 2016, to rethink its plan to change that once-popular music venue into a pub. The new Railway Stage and Beer Cafe features live music at least three times a week. The Arts Club is consulting restaurateurs to relaunch the Backstage Lounge in the new year. 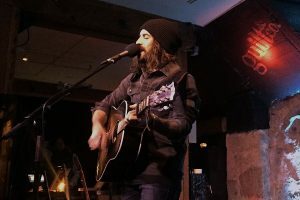 Music BC said mid-size venues like the Backstage Lounge and Gastown’s Guilt & Company play a vital role in the city’s music scene as they help musicians transition from open mic nights to headlining gigs. Artists can sell tickets, choose opening acts, and control their show — a unique opportunity for independents getting their start. “Without these little 100- to 150-seater venues, Vancouver can’t continue on the same arc that it has been on. If they keep closing, I don’t know where the shows are going to happen,” said Guilt & Company booking agent James Calvin Thompson. As other indie-music-focused venues have closed, Guilt & Company has still been drawing enthusiastic crowds with its focus on local artists. “We’re lucky the culture we’re building is taking hold. There are so many places that are closing but Guilt is still a living breathing thing,” said Thompson. But he warned that the music community as a whole is suffering. Last week, Music BC announced two live–music industry studies that will be done this fall in partnership with Canada Music Live and other stakeholders. “Both studies are firsts for our industry and while we know what the challenges are, we’ve yet to have any real hard data to back it up,” said Paige Guscott of Music BC. A “music ecosystem study” will assess Vancouver’s live-music community “to help nurture and maintain a healthy music economy in Vancouver,” according to a press release. The studies follow Canada Music Live’s 2016 report, From Adversity to Opportunity, that encouraged the provincial government to take action to support local music. The report found that digital technology, cost of living, and red tape are challenges facing B.C.’s music community. The former B.C. Liberal government responded with a $15–million grant to create the B.C. Music Fund.